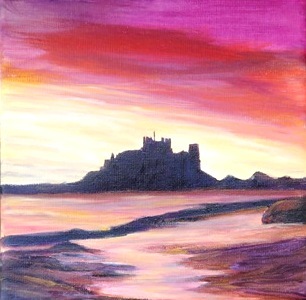 An atmospheric little painting in acrylic, showing Bamburgh Castle as the sun sets on the Northumberland Cost. 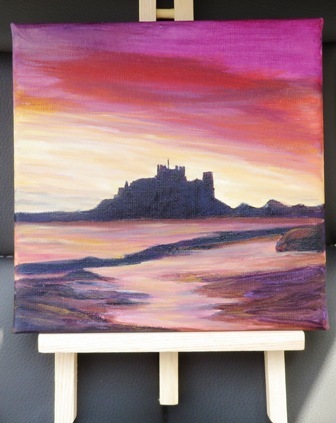 A mini art measuring 7.75" square (19.5cm) which has been signed by the artist. Small enought to fit into any home, whether large or small, effective enough to be noticed by all. Framed in a natural wood box frame, with a certificate of authentication on the reverse.